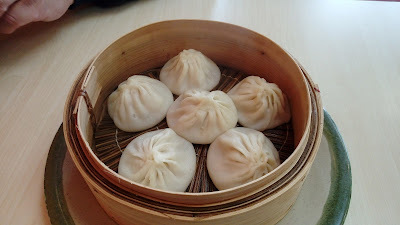 The staple Steamed Pork Buns 小笼包 was a must. Just like our previous visit, the dumpling skins of these XLBs were not springy nor chewy, but the wrappers tightly held the juicy pork stuffing. 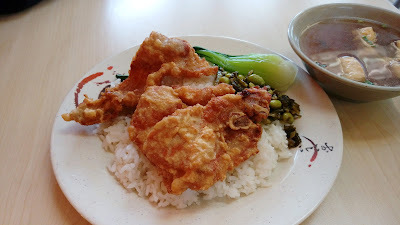 The Deep Fried Pork Chop with Rice 炸猪排饭 was something Buddha Boy has been craving for. This was a simple and comforting dish consisted of two well-fried pork chops placed on a bed of white rice accompanied with bak-choy and stir-fry blend of edamame and preserved vegetable. 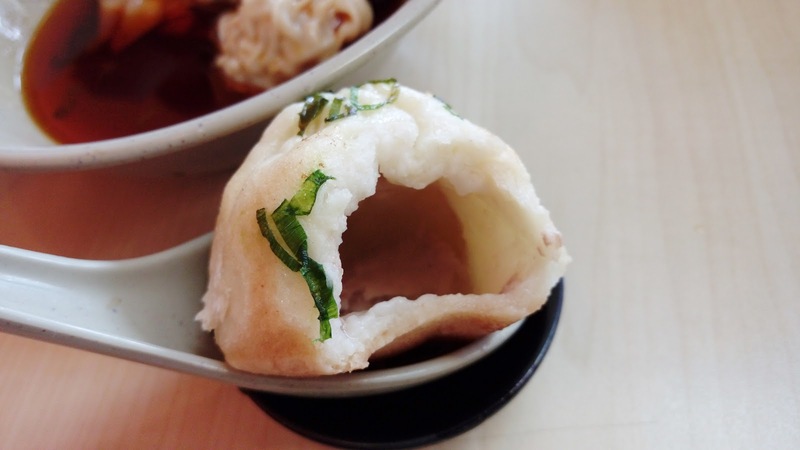 This time, the complimentary Tofu Puff with Vermicelli Soup 油豆腐粉丝汤 actually had detectable amount of vermicelli in the bowl. 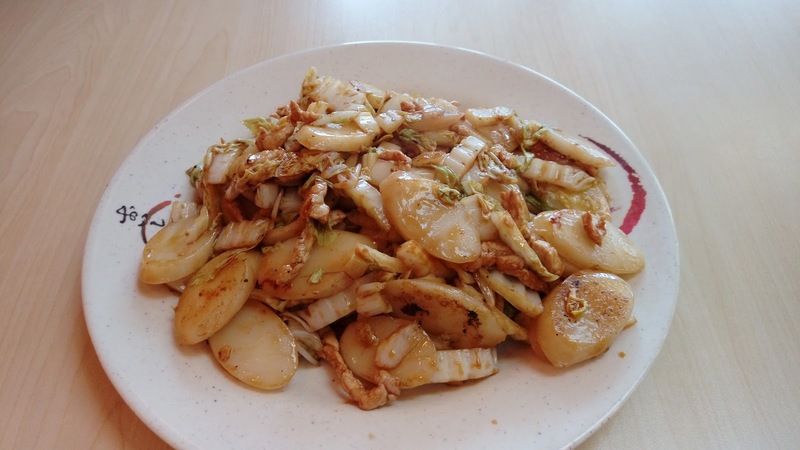 The Pan Fried Rice Cake With Shredded Pork 肉丝炒年糕 was an enjoyable dish. Coated evenly with a simple blend of mainly soy sauce and sesame oil, the rice cakes were chewy and glutinous yet not sticking to the teeth. This was a fair-portioned plate with reasonable amount of shredded pork and napa cabbage. The Green Onion Pancake 葱油饼 was the fried version which Buddha Boy likes. 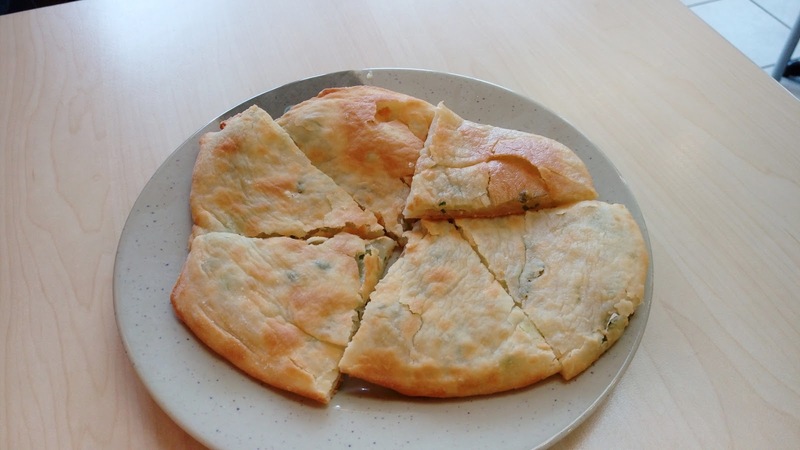 The pancake had a generous load of spring onions which allowed that peculiar scallion kick and fragrance. 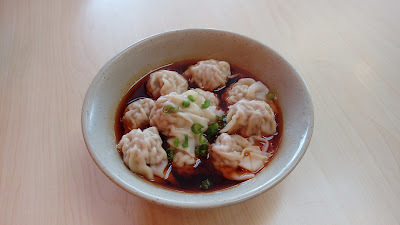 Next was Wontons in Chilli Sauce 红油抄手. 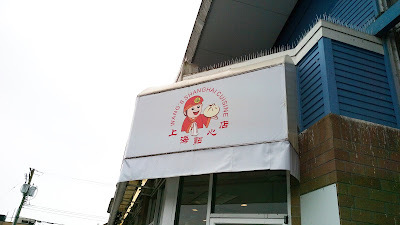 The wontons were similar to the ones in Cold Wontons with Peanut Sauce 凉拌馄饨, which we have tried on our last visit. The wontons were tightly held by the wrappers with the typical Shanghai-style filling of pork and napa cabbage. The chili mix was quite weak and disappointing. The sauce was predominantly soy sauce, chili oil, sesame oil and black vinegar. While it was not oily (which was a positive thing), the blend was missing that chili fragrance and nutty aroma. 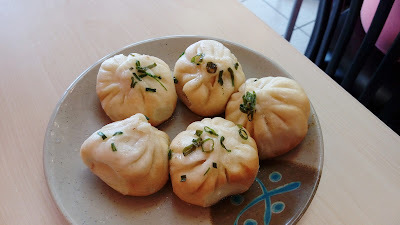 The Pan Fried Pork Buns 生煎包 was another item we wanted to try. The buns had uneven doughy and thick parts. The gently seasoned pork and ginger stuffing was savory and succulent. Each bun had more soup than a featured xiao-long-bao. If you're looking for a homey Chinese Shanghai-style restaurant that offers good bang for the buck with acceptable quality and reasonable portions, Wang's Shanghai Cuisine 上海点心店 is no doubt the place to be.